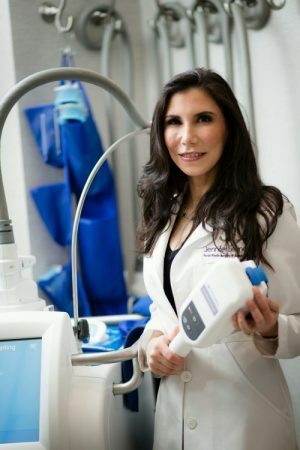 Dr. Jennifer Levine is one of only a few surgeons who are double-board certified by the American Board of Facial Plastic and Reconstructive Surgery, and the American Board of Otolaryngology-head and neck surgery – giving her a unique knowledge of the face and its underlying structures. Her philosophy is that every individual has the right to natural, believable results that enhance one’s appearance, not create a new face. To achieve “Believable Beauty”, Dr. Levine works closely with each patient to develop an individualized treatment plan that focuses on their needs and unique facial features. She is an expert in the latest invasive and non-invasive anti-aging treatments that help achieve and maintain the look patients have always wanted. Dr. Levine graduated with honors from Columbia University, where she obtained her Bachelor of Arts degree with a major in Biology. She subsequently received her Medical Doctorate from Cornell University Medical College, where she was elected to the Alpha Omega Alpha National Medical Honor Society. Dr. Levine’s post-doctoral training included a General Surgery residency at Lenox Hill Hospital, a residency in Otolaryngology at Manhattan Eye, Ear and Throat Hospital, and completed her residency in Otolaryngology at New York University , where she was Chief Resident. She, then, served as a fellow in Facial Plastic and Reconstructive Surgery at New York University Hospital, where she trained with the top surgeons in her field. Dr. Levine is an attending plastic surgeon at Manhattan Eye, Ear and Throat Hospital, Lennox Hill Hospital, and Bellevue Hospital.